In all honesty, I will admit to no inclination towards mountain bikes. I am all about skinny tires, classic road races, white ankle socks and total Euro-style. So when the folks at VeloPress, who put out some of my favourite road cycling biography/history/training/ books pressed one of their latest publications into my hands I was not sure what to do with it. 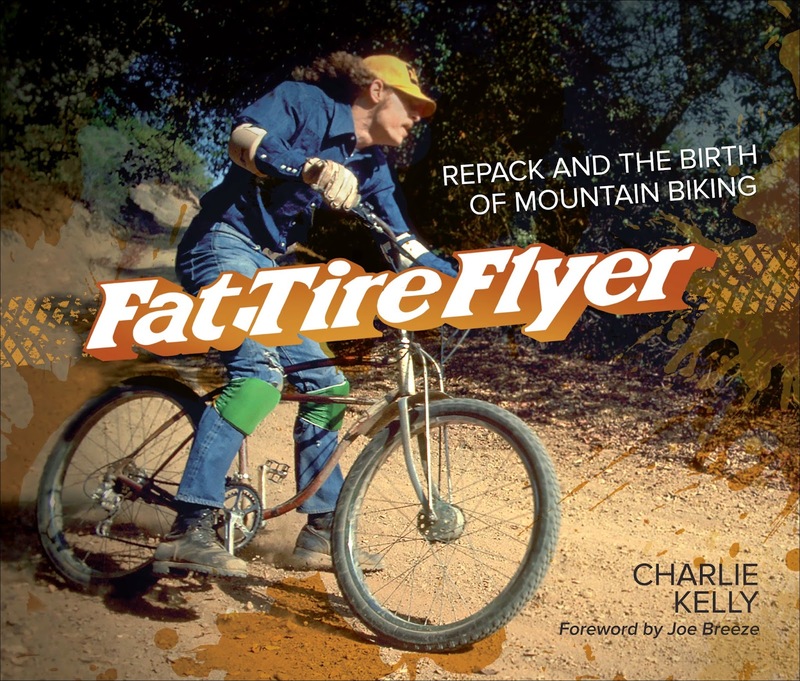 And that's because “Fat Tire Flyer” by Charlie Kelly is about the birth and early years of the mountain bike. Bikes with fat tires. 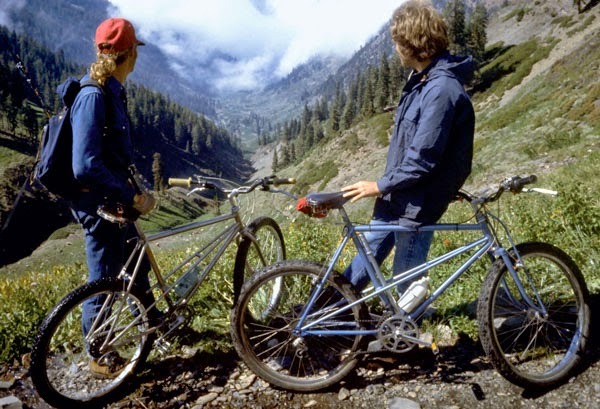 Bikes ridden by long-haired freaks in California in the 1970s. Bikes that--shudder--even got really dirty. And this account is one of the most entertaining books I have had this year. There are very few inventions where one can say there was a clear and definite beginning. Germans will tell you Philipp Reis invented the telephone, not Alexander Graham Bell; the French will say that Clement Ader's airplane was the first in powered flight, not the Wright Brothers'. 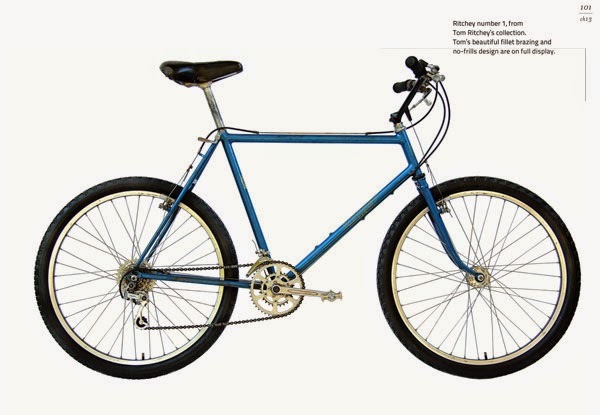 The birth of the mountain bike (unfortunately described as “one of the most significant inventions in the 20th Century” on the book's inside cover) brooks no such foggy origin. 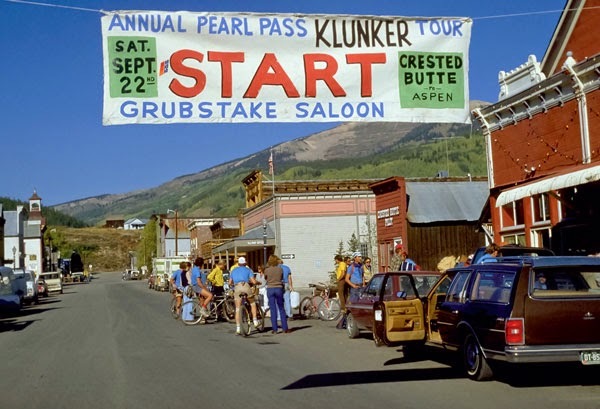 We have all heard about the Repack Race on Mount Tamalpais in Northern California and the names associated with the “klunker bikes” still resonate in the bicycle industry nearly four decades later. These names include Tom Ritchey, Gary Fisher, Joe Breeze and the author of “Fat Tire Flyer,” Charlie Kelly. Charlie Kelly is a man who has worn many hats in his life and the book opens with an account of how he got into cycling. In his very amusing and wry style he recounts the junk bikes he rode as a child, moving up eventually to one of the great bike boom-era road bikes, a Peugeot U0-8, described as the kind of bike people who don't own bikes would recommend. Now into riding more seriously but still clearly knowing not much he upgraded to another Peugeot, a PX-10 (a very collectible bike in today's market) before meeting up for the first time with like-minded spirits in the form of Gary Fisher and the drummer of the New Riders of the Purple Sage band. Kelly had become a roadie for a band himself and the group he associated with, musicians and cyclists, were long-haired free spirits. Deciding that he wanted to race, he realized that it was necessary to belong to a club and since they thought of themselves as not suitable for the only bike club in the vicinity they ended up forming their own, rather anarchic group, the Velo-Club Tamalpais. To manage VTC, Kelly went to the public library and after mastering “The Clubwoman's Handbook” was able to establish some rules of order and determine enough of a statement of purpose that VTC was accredited and on its way. The group's racing history did not sound particularly distinguished and Charlie Kelly's own palmares never reached more than a second place after he blew a lead. But the story really gets interesting when he and his friends determined that riding skinny-tired 10-speeds for errands and transportation was not very practical so they picked up old heavy singlespeed bikes to ride to club meetings and for other purposes. 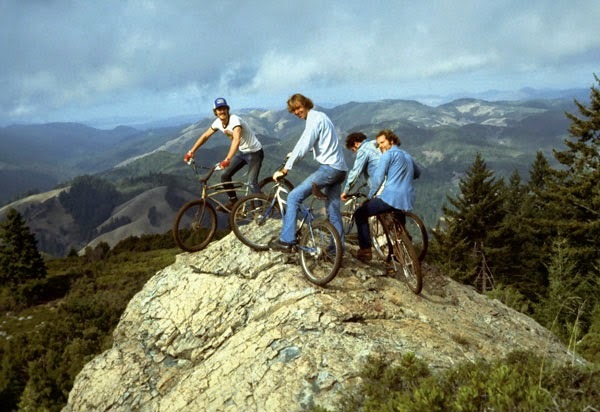 One day they visited a friend on Mount Tamalpais in Marin County and using their heavy old bikes rode around on the local trails, discovering, to their apparent surprise, that going downhill was much easier than uphill. Soon a course was determined, the Pine Mountain Loop, and more people joined in. A particular section of dirt fire road behind Cascade Canyon became the site of the now-legendary Repack. The bikes used were never meant to handle the kind of abuse the VTCers aimed at them and the coaster brakes would smoke as the grease burned out, necessitating frequent repacking and hence the name. Charlie Kelly took on the task of organizing the Repack races and arranging for time- and record-keeping. As time passed the group made more and more modifications to their old bicycles but 40 year old bikes and parts gradually disappeared and as they become more and more modified the direction was clear. 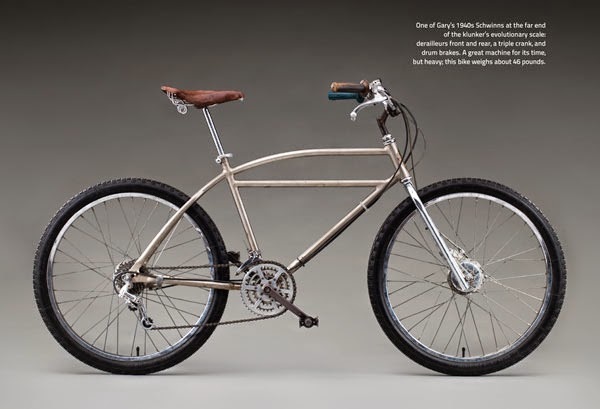 The Marin Klunker Bike, made of bits and pieces found in thrift shops and basements, metamorphosed into the first purpose-built off-road mountain bike with new parts, one of a small series constructed by Joe Breeze in 1977. The rest is history. 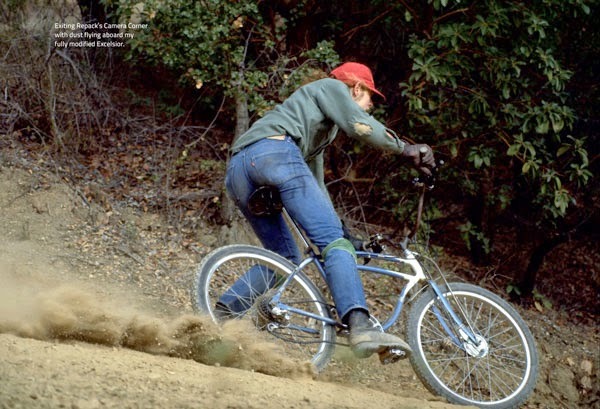 Charlie Kelly was not only the organizer of the Repack races but he went into a partnership with Gary Fisher to build and sell the new style bikes, with frames constructed by Tom Ritchey, and actually used the name MountainBike for the product. The growth of the racing scene, the MountainBike story, the establishment in 1983 of NORBA (National Off-Road Bicycle Association) and Charlie Kelly's mountain bike publication, “the Fat Tire Flyer,” is covered in the book, with many period photographs and groovy counter-culture graphics. There is much in the book that is counter-culture and one has the sense of a group of Californians who refused to grow up, semi-employed in their 30s and hanging around with bands like the Grateful Dead, having a great time crashing their bikes down Repack, while wearing what looked like construction worker gear. It was a world far distant from European-style road racing and in fact the Union Cycliste International (UCI) did not even deign to recognize the sport until 1990. In the meantime mountain biking has become a global sport, its manufacture a global industry. The bikes, with their fat tires, flat handlebars and friendly appearance, have brought many people into cycling who might never have considered it. 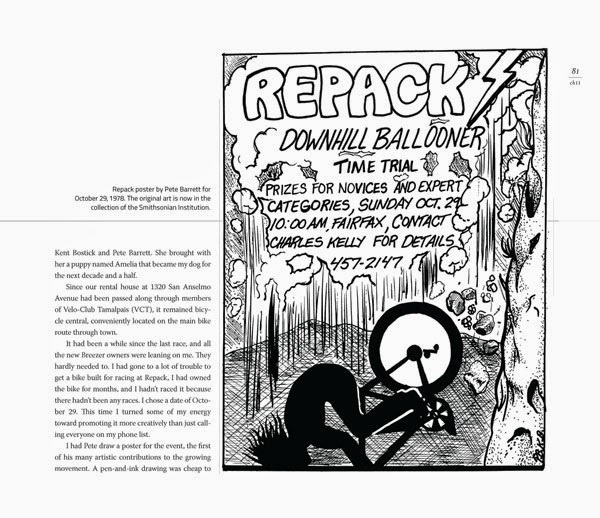 Charlie Kelly wrote for Bicycling magazine for a while—well, until he got fired—and other cycling publications and the book includes some excellent samples of his writing. There is even a chapter about his trip to the 1985 Giro d'Italia, far from the fire roads of Marin County, where he saw some of the greats of European road racing, including Francesco Moser, perform before the world. And in a life characterized perhaps by the unexpected after “the Fat Tire Flyer” ceased publication he turned his hand to a completely different line of work, that of piano mover, for three decades. Considering the makeshift nature of the original “klunker” project, VeloPress has produced a very fine volume, with good photo reproduction, worthy of any cycling library shelf. It is the first book to provide a detailed insider's account of the birth of the mountain bike, a machine that had numerous fathers but was the product of a very particular time and place. “Fat Tire Flyer” may not be about road bikes and Euro-style but it is not just about a new technology coming to life. It is about unforgettable characters, good friends, good times and having fun on your bike. That is something all cyclists should be able to relate to and enjoy.